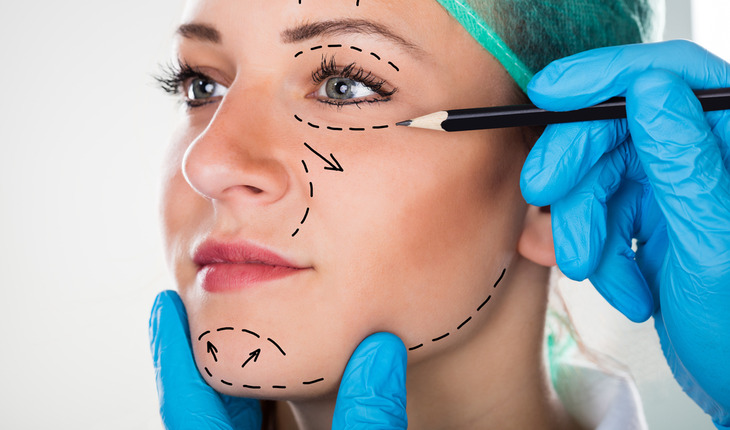 The number of Americans over the age of 65 getting cosmetic surgery has doubled in the last 20 years, with most of the increase in the last five years, according to the American Society for Aesthetic Plastic Surgery (asaps.org). Eyelid surgery is the most popular choice, followed by facelifts. As we age our upper eyelids droop and lower eyelids bulge. This is true for almost everyone, and if the lids obstruct vision, health insurance may pay for upper eyelid surgery. But why the increase in facelifts at an age when former generations held onto their money and accepted the natural aging process with a minimum of angst? “People are living longer than previous generations and are so much more active now,” says New York facial plastic surgeon Dr. Philip Miller, co-founder of Gotham Plastic Surgery and Associate Professor at NYU School of Medicine. In many ways 60 really is the new 40. It’s true that with good nutrition, regular exercise, and a better understanding of our overall health men and women are keeping their bodies in shape. “Yet the aging process, the way the skin and face change, is much the same as it always has been,” notes Miller. “People look in the mirror and what they see is not how they feel. The disconnect is jarring.” People don’t necessarily want to look younger, they just want to look as good as they feel. Dr. Manish Shah of Shah Aesthetic Surgery in Denver, Colorado, has a significant number of over 60 patients who come in wanting an “overhaul” of their face. Younger people generally start with minimally invasive procedures like chemical peels, Botox, and fillers when they are in their 30s, 40s, and 50s. These procedures are more affordable and have less down time than surgery. But for those who have not engaged in skincare or cosmetic injectables maintenance, facial surgery is probably the best option. The most common reasons patients over 60 want a facelift, according to Shah, is because they have lost a spouse, either to death or divorce, and want to feel vital again; or because they are trying to combat ageism in the workforce, particularly in highly skilled jobs. Women, especially, seek cosmetic surgery when the caregiving years are over and they can finally afford the time and cost of doing something for themselves. Part of the trend toward more seniors having their teeth fixed is because the technology has made it easier. “Older adults don’t want to be seen in braces, but with Invisalign [clear braces], the embarrassment is minimal as teeth are being straightened or a bite corrected,” notes Hwang. Dr. Ronald Jawor of Power Smile Specialist in Irvine, California, and Assistant Professor in the Department of Orthodontics at Loma Linda University of Dentistry, is seeing many more seniors than when he began practicing in 1969.s“Most come in with their teeth looking like a train wreck, with severely crowded teeth,” says Jawor. In addition to finessing smiles, an orthodontic specialist might be able to do an orthognathic (jaw) surgery that would supplant the reason for cosmetic facial surgery. “Somebody with a severe under- or overbite, with either a jaw protrusion or a receding chin, should check with an orthodontist specialist first. A plastic surgeon is not going to do a jaw advancement; instead they might camouflage the problem with a chin implant,” Jawor notes. Ideally orthodontic specialists and cosmetic surgeons can work together to create the best result. There are risks to any surgery, of course. Although a good percentage of those 60 and over are excellent candidates for surgery, older people are still more fragile medically than those in their 40s. Contra-indications for surgery include respiratory problems like asthma or COPD and high blood pressure. For a drinker, the liver may not metabolize the anesthetic well; smoking interferes with blood supply. The possibility of blood clots is a serious issue. “The biggest medication problem is blood thinners,” Miller says. Patients with a history of stroke or heart attack are not good candidates.